Did You See the New Anti-CFPB TV Commercial? Did you happen to see the new “Anti-CFPB” commercial on the Republican debate? What do you think of it? Yes sir, I absolutely saw the commercial and loved it,. The CFPB caused several of my Community Banks to go under and They need to be abolished, not just regulated, but abolished…. More attention needs to be drawn to the bureaucratic jobs program which do nothing to perpetuate capitalism and further the American dream! More attention needs to be drawn to these bureaucratic jobs programs which do nothing to perpetuate capitalism and further the American dream! 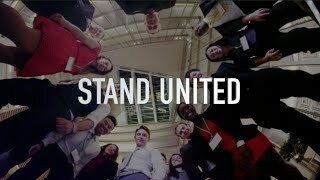 love the commercial, abolish CFPB! Guys, you need to get a copy of the lawsuit against Jack Lew from the small Texas Bank…they just filed for Summary Judgement…it is obviously full of Legal mumbo jumbo but it really makes sense…the CFBP was created it appears illegally agains the Constitution. The separation of Powers portion. It this little bank is successful and so far they are won every case (I believe), this could go to the Supreme Court and Boom…NO MORE CFPB AND NO MORE RICH CORDRAY. I want to applogize from the Great State of Ohio that Rich is from Ohio. We have disowned him. A bloated government agency that goes after those with deep pockets. Remember, our government is BROKE. We finance everything and steal from other agencies (Social Security) to "give away the store". I am tired of the U.S. rolling up its sleeves and opening it's pocketbook for every cause, disaster, and injustice outside our borders. We are BROKE and it is only a matter of time before we truly become a Third World economy. Hmmmmm to an average consumer who does not know our industry the message to me is, the CFPB is denying loans to folks who maybe shouldn't be buying anyway. We live in our world that doesn't mean everyone around us does too. Great opportunity I think missed the mark on the message. I think this ad is totally on target. The CFPB is 'big government' and totally unregulated. It is unregulated, does what it wants and reports to noone. I LOVE it! Abolish the CFPB. Excellent commercial; right to the point! I like the commercial. Rather than go into the details of how the CFPB ultimately hurts consumers, the commercial simplifies it to "DENIED". What consumer is not going to understand that?!! This ad is superficial and accomplishes nothing, and it is misleading. The CFPB does not deny any loans. There are legitimate complaints about how the CFPB is carrying out its mission, but to make an unsubstantiated accusation that is patently false undermines the credibility of those who seek legitimate reform of the CFPB. The industry would be better served with constructive criticism and suggestions on how to improve the CFPB. It is a pipe dream to think that the CFPB will be eliminated. It needs oversight and accountability, and the industry should be supporting congressional efforts to change the structure of how the CFPB is led and governed. An agency with a single decision maker at the top is dangerous. The FBI under J. Edgar Hoover became an overly influential agency that betrayed its legitimate purpose under his leadership. The CFPB is not here to protect the financial industry. It was designed to protect consumers, but it is not helping consumers by destroying the financial industry and increasing the costs to offer consumers the financial products they want and need. This ad could have provided many legitimate examples of the impact of the CFPB’s approach of regulating by enforcement and inadequate and conflicting regulatory pronouncements that the public does not know about. That would have been helpful. These Orwellian ads created by Washington spin masters are insulting to our intelligence. Where’s the beef? I would rather hear facts than this kind of tripe. I can’t wait for the ads for the upcoming elections. The tone of the commercial is reflective of the Mortgage industry. It’s not designed to educate, but rather inform about the net effects of this unregulated agency. The mandate of the agency has been corrupted by unbridled regulatory authority. By their megalomaniacal application of penalties, their virtual lawmaking abilities (and disregard of the judicial process), and adversarial oversight–they’ve gone WAY beyond their original charter. The consumer is NOT protected, but overburdened. This commercial calls the CFPB out in an entertaining and engaging way. It’s for everyone’s (well, not King Richard, and his ilk) benefit. Seriously wake up . You are entitled to your opinion. That is unless the CFPB soon decides otherwise. I have been in the real estate and finance industry over 36 years, I have an appraisal background as well but gave this up when the banks wanted to take control. I get it that you do not want to over extend on a refinance cash out but how is it possible in an open market to lower the value of a home when a buyer is willing to pay “x” amount and there was and is biding and a strong local economy to support. The banks have manipulated the system and the exact thing they accused the mortgage broker of they have done in spades. The appraisals used to run 250 and now because the banks can own 49.9% of an AMC costs double. The costs are hidden and different rules exist for those with money. The government forced banks to take billions if not trillions and of course there was really a much lesser overhead.If banks can borrow at a ridiculously lower rate and sell money at thousands of a percent higher but do not have to show the real cost than paying a few million to the CFPB was the original agreement to slide the government back money after they were bailed out and after the larger banks figured how to get rid of the competition by blaming them for the Wallstreet concoctions. Did you think the CFPB needed such an expensive waterfalls? I know people that are spending money like drunken sailors that contract through the CFPB. Shock and awe is awesome . The public will at least realize there is a runaway and unaccountable to Congress or Senate. Regulation is not inherently bad, however in the case of the CFPB, I haven't seen where they fully understand the impact of their actions. The three main branches of the Federal Government have each other for checks and balances and two of thiose branches are elected. Where are the checks and balances for the CFPB? Decent commercial. But, not to diminish the commercial, who was that at the end? That was great! This commercial is fantastic! We need more of this. Remind me again why we have the CFPB? Was the delivery of disclosures really an issue? Makes me want run for office just to have a common sense voice for our industry. The CFPB really does not understand the impact of their actions for the end user; our customers. Proud to see Norm Coleman fighting for change, go Minnesota! I want to know who that is singing at end of show today? He's awesome! A thousand dittos to Steve Curlee. The direct and indirect costs to consumers is the problem. Longer lock periods, delays in closing, and unseen-but-real incrementally higher rates as lenders build in higher legal costs are just some of the hits to the borrower. All for the perception they are better educated, informed and protected. Reality is the borrowers still sign mountains of unread documents when they only want to know 3 things: 1) what’s my payment? 2)how much do I need to close? and 3)when do I get the keys? Horrible commercial – the CFPB has nothing to do with loan approval or getting in 'the way' of your finanical decisions. Misleading advertisment can't be backed. It shows that the argument you are trying to make against it doesn't stand on its own merits (otherwise why make up information to argue against?) Also means you are essentially calling all of your customers stupid if you push something like that. love it, perfect timing with TRID up a running! They need a follow up commercial with a few loan getting stamped "APPROVED, but delayed by the CFPB!". Do you thinkg they got the message? I like the idea of educating consumers about the CFPB. A totally unregulated governmental agency with such a broad reach and seeminly unlimited power is a vehicle to certain doom. Add to that the fact that they are funded through the fines they hand out, and you throw gas on the fire. Talk about Big Brother! It's no different than having a state trooper who is paid by keeping 20% of the fines for tickets he writes. Do you think he might be a little creative to write more tickets? I just can't believe this agency exists. However, I think it is oversimplified and over-dramatized enough that consumers will not buy in. I think the 3 biggest current and future negative effects of the CFPB's creation (at least as it relates to mortgage) are 1) Cost – increased cost to the consumer due to additional compliance overhead which also results in a decrease in competition/supply, 2) Delay – increased delay for the consumer due to increased disclosure and waiting requirements and 3) Confusion – increased confusion for the consumer due to (ironically) increased disclosure requirements. I think the commerical should have focused more on those three items and added "Denial" as a 4th. There are many folks who will see the commerical that know they'd not be denied a loan, but everyone will suffer from the 3 points I've raised. Well I liked the ad. I think the intended result was to shock people. Get their attention. Get them talking. Must have been successful, because these are the most comments I have seen on here in a long time. We could all articulate the many reason why the CFPB is NOT serving the consumer. Increased cost and length of time to obtain a mortgage is just one example. Any unregulated government agency should be a serious concern for everyone. And then to have just one person, Richard Crodray, have so much power over the agency with out being accountable to anyone is a serious danger. If CFPB is not going to be abolished it MUST be regulated. But I want to go on the record for preferring overturning Dodd/Frank and abolish the CFPB. CFPB undermines true free market capitalism and should go. This commercial is just another attempt to remove consumer protection so that the banks can go back to their old ways. The CFPB is good for our real estate clients. The ad is excellent. The CFPB is a complicated beast and educating people in a 30 second spot is so incredibly difficult, regardless of industry. Very few ad agencies even attempt it these days. Most ads are built on emotion rather than education. This one does a decent job of capturing both. Those who say the ad is 'misleading' because the CFPB doesn't directly deny loans, of course you're tehcnically correct in that the CFPB does not directly deny loans. However, the regulatory environment created by the CFPB leads to more denied loans, as well as higher costs to the consumer for approved loans. To create a 30 second spot educating on that process and still have enough emotional appeal to sway the masses is a nearly impossible task. The average borrower cannot relate to the higher transactional costs, but loans being denied are all over the news. The masses can relate to it. It has more emotional appeal. If you believe that the regulatory environment created by the CFPB has not led to more loans being denied then it seems you don't fully understand the consequences of the CFPB's actions. Yes Yes Yes Yes – it is about sometime somebody put the FEAR of GOD into the CFPB. Shut them down and take away their power. This is absolutely ridiculous. They are doing nothing but hurting our industry. Put them on the unemployment line and see if they can get a job shoveling horse manure at a track. I have seen this ad on the East Coast a rew times last week. It was asking people to contact their congress folks to end the CFPB. ware Valley area I know of 3 small community banks that sold out to larger banks. And 2 banks that closed their residential lending sections and became commercial lending only. Great job CFPB keep up the good work and everybody at CFPB will get vice pres. jobs with the few remaining too big to fail banks. Love it. Need to stop the control by big government. More control of individuals and their futures. Takes the ability of individual decision away (AGAIN!). And, did you read this one? “CFPB MOVES TO TAKE OVER THE DUTIES OF THE SOCIAL SECURITY ADMINISTRATION”. Yes, CFPB is now promoting a calculator for people to determine what their social security benefit will be, and has created an “An office for older americans”, headed by Stacy Canan. VERY SCAREY! there is no limit on their ability to control every aspect of our lives. We now have two dictatorships – the CFPB and President Obama. I LOVED the ad!!! I believe the CFPB needs to be abolished or at the very least changed to a board-based leadership as their name implies, overseen by Congress, and given a budget that is not based on fines. They must also be forced to do business correctly–providing us written guidance BEFORE they fine us. Absolutely loved the commercial. About darn time we get rid of Cordray.I worked all my life and should have social security but instead I pay S/E tax on two businesses and now am being told that MSA's can be a problem. I am a small broker and we provide a 1 stop service meeting individually with all clients. We assess their needs, give them a choice of whoever they wish. Our Realtors have the choice of where they want to send their finance. The theory is if I own a bakery and someone loves our service and Bagels so they now ask about the cakes we offer, the weddings we cater to is someone from the government going to tell the consumer they have mmore than one business? Poppycock!~How is it that zillow can own a mortgage company and ignore bad reviews for their partners. BOA recently told our client to stop paying their mortgage so they can refinance. Now they can't get finance and this ruined their credit. If someone takes note of how they paid all their life it is so out of character and should be illegal. better yet Mr. Brooks – they ned to show a commercial where the CFPB is looking for the closing docs! Love it! Time for those Comunist to go. I love this comerical. We need to do away with the CFPB ASAP. We just need to return to commmonsense rules that were around in the 1990's- there were very few foreclosures and consmers took responsibilti for theirown decisons. It's tiem to get Washington out of our loan loins. abolish CFPB and IRS too. The anti-commercial seems to be feeding to consumers' fears without any facts to back up their position that the CFPB has the power to decline our personal loans. I do think that the CFPB does a lot of good, but our country was built upon a system of checks and balances. Why is the CFPB, the "new sheriff in town", able to operate with only one arm of our government with power over them, the Executive Branch? They should have to answer to Congress and the American People. I think its AWESOME!! Abolish the CFPB, repeal Dood Frank and Abolish the IRS!! The mere recess appointment of Cordroy was a crime! If the hosts of this program have to think about supporting the elimination of the CFPB, I think they just have showed their true colors, LIBERALS who probably vote for Obama and Hillary and donated to the Dodd and Frank campaigns! Jane Kennedy The new rules always catch people 'unaware' even though they have been coming for some time. Some lenders have been in front of it and others are still in denial. However, incompitence in adapting to the new regulations is no excuse to blame the regulations themeselves. If they were not needed they would not be here. The opportunity to avoid this was in the decades of fraud and poor ethical performance that already happened, and in fighting proper regulations until now. Fabulous commercial! To take a page from the wackos in the college world today forcing multiple people to resign if they do not like how they are handling certain situations, we need to demand the resignation of any Congressman or Senator that would not vote to shut this board down today! It seems everyone here hates the CFPB and is happy to see anything negative about it whether true or not. In this case I feel showing the CFPB doing nothing but denying people loans is a complete lie and is a deliberate attempt to misinform people. This is nothing more than a piece of propoganda trash meant to pursuade consumers that the CFPB is the the devil himself. It is governments main purpose to protect it's citizens from harm inside & out and in my experience those who scream the loudest about government regulation are the wolves who don't want anyone to interfere with their ability to kill and eat the sheep. Free market Capitalism without any regulation is nothing more than allowing the wolves to eat all the rest of us! I understand why the wolves wouldn't like being controlled but it really works out much better for the rest of us, so screw 'em or better yet, lock 'em up! Love the commercial, which will unfortunately achieve nothing. Yes…. get rid of the CFPB! Andrew Conniff the new rule did not catch those of us actually in the industry unaware. Believe me we were aware. We also knew that the problems we are now experiencing would definately occur. They are the result of rules and regs written and implemented by people who are incompetitent and outside the industry. The regulators are completely to blame. Your broad brush statement about decades of fraud and poor ethical performance is also a statement I take exception to. 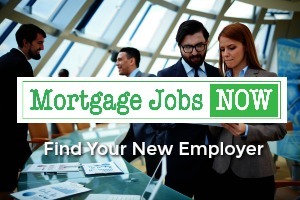 The vast majority of mortgage professional are honest, ethical hard working individules. Those few that abused the system 10+ years ago should have been dealt with on a case by case basis because the "regulators" knew who the offenders were but instead threw the baby out with the bath water and crushed an entire industry. Based on the timing of its original release, I would suggest the ad was created by investment advisor/asset manager groups to gin up fear and opposition among consumers regarding the CFPB in an effort to block DOL/SEC/CFPB's momentum towards requiring those asset managers and investment advisors to take on fiduciary duty in their dealings with consumers. Fiduciary duty would mean that investment advisors, for example, would be obligated to put the interests of their customers ahead of their own interest (except in the matter of compensation). Financial industry salespeople generally reject the notion they shouldn't advise their customers to buy, sell, or hold based on the advisor/manager's anticipated compensation. The commercial only purports to be about consumers being denied loans by the Big Brother CFPB Bogeyman. It is really about creating a very negative, oppressive image of the agency in voters' minds so they will support efforts by legislators to block regulations that would, in fact, be to consumers' (investors) benefit. Andrew you work in an entirely different industry. The last 7 years of lending Prior to TRID the industry has never had more perfect loan underwriting. Both Jane and Marie are correct. The CFPB is an agency that manufactures issues so that they can fine people with no ovrersight. They add costs of an estimated 1/2 of 1% to every transaction. How will that help you. If you are fined 10 million dollars by them do you realize that it is not a fine that can be over ruled by a court. Would you and your business be comfortable with that? Maureen Biagini My brush is not as broad as you might think and the CFPB affects you locally but also has far reaching effects at the top, where (10+ years ago) the structure of the business created a vaccuum it filled with sale 'professionals'. Without the proper limits and disclosure rules in place we were seeing massive 'fraud by ignorance'. Also – the contingency and faiure to get a loan are not affected by CFPB – these aren't underwriting guidelines or purchase agreements. I have a feeling this particular deal would be at risk regardless. Blaming it on regulation you knew were coming is…. well it is what it is. I spend a lot of time with people that close large volumns of transactions from many different lenders/agents etc and I am here to tell you, many people are prepared and some seemed 'surprised' and shocked and blame the regulations. In a year this will just be the way it is done no one will care. Bill Sommers My business is full of rules and regulations, not understanding them is not an option. – but I also spent a decade in Mortagge lending (much of that as a manager) I have spent a lot of time training loan officers on compliance and regulations in the mortage and banking industry. But I started before the big credit run, when the most common loans are the ones we have now, and the ones that are qualified under the CFPB. I am not saying it can't be improved, everything can be improved – but the commercial is bogus. The last think the miortgage industry needs is to go backward in terms of regulations – and don;t forget this covers a lot of other shady lending practices too. Once everyonr gets adjusted this will be old news. I love the commercial! Maybe the public will wake up and convince their representatives to pull the plug on CFPB which is not helping the consumer one bit! Good info. This is the first full week of deals that seem to be all TRID based in our market and I have seen 1 in 3 having some sort of problem. There also seems to be lots of confusion about who gets what on the docs. Some say the seller gets theirs and the buyer gets theirs and the agent gets nothing. Some say the same but a summary with all the major info is sent out to both buyer and seller and the agent still gets nothing. Then there is also have where everyone gets everything. Also there is rumors about separate rooms for sellers and buyers which I know is the case before in a couple of states that I have friends in like Connecticut and New York, however in KY buyers and sellers are in the same room unless there is friction between the two or it involves an estate where there is unrest with the heirs. So this would be a great one for you all to go over and let us know what the ruling really means for all states and how confusing or concise the ruling really is. The cfpb is unconstitutional They do not even have a loan person on their board. When banks do not comply, then fines are necessary. 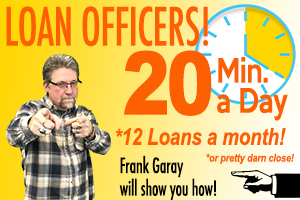 Why don't they disallow in house lenders for realtors, and that commercial is awesome!! WHO WAS SINGING AT THE END? The fact that the CFPB is basically exempt from oversight by elected officials is chilling. Too many regulators with overlapping rule making authority. Need a better system that has one regulatory body run by an appointed Board of 5 for all financial services. It is the 21st Century…. You would have thought we would have better more efficient government by now. Why is it that the lure of protecting consumers whether it goes back to Ralph Nadar or beyond always winds up feeling like consumers are being shafted? BECAUSE THEY ARE! These organizations prey upon the unsophisticated, they refuse to play by any rules but their own. The morgtage industry has been succered into inept, inhuman and onerous rules and regulations based on 25-30 years ago high-flying illigimate fraud and abuse! But instead of working slowly and diligently on corrections, they brought in teams of teanage ninjas and keep on abusing consumers with the flawed ideology! Love the commercial!